Zurich Airport is Switzerland’s largest international airport serving the immediate city of Zurich and the rest of the country, thanks to Switzerland’s excellent transport links that make it easy to explore it by Zurich Airport campervan hire, RV rental or motorhome rentals. Located just 8 miles north of Switzerland’s largest and most populous city, Zurich Airport connects passengers to the rest of Europe’s major capitals. 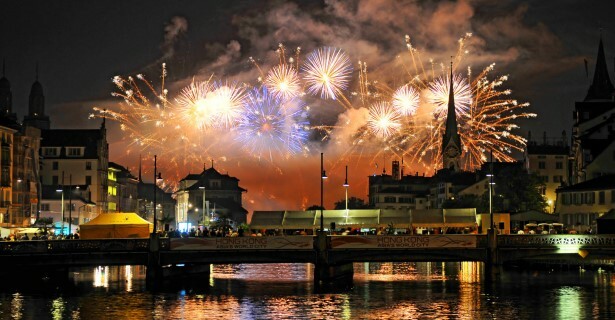 Despite Zurich’s economic, cultural and political status – the world’s fourth largest stock exchange, the best universities that produce Nobel laureates, even FIFA’s headquarters are all here – it is not the capital of Switzerland, an honour that goes to Berne. Located on River Limmat and Lake Zurich with impossibly clean and clear water, Zurich is a highly walkable and scenic city. Driving your Zurich Airport campervan hire within the city center presents some challenges, so it’s best to explore the city on foot or bicycle. Follow the lake and the river’s lead to see historic buildings and the old town, Lindenhof. While Zurich looks as spotless as Singapore, there is plenty of cultural happening underfoot if you are willing to venture out of your campervan rental and scratch beneath its surface. As home to a multitude of bankers, Zurich dishes out varied cuisines worthy of an adventure on its own. The largest wining and dining scene can be found at Niederdorf, also Zurich’s most happening nightlife districts. If high-brow entertainment is what you are after, Zurich brims with world class museums, galleries, theaters and opera houses that once hosted and continue to host the best performing artists and musical talents in Europe. Your motorhome hire or RV rental will be put to good use once you leave the city behind and venture into the magnificent Swiss outdoors. Switzerland’s financial hub is also the portal to the Alps, making it an ideal jump off point for travellers in RV rental in Zurich Airport who would like to see its postcard-staple natural attractions up close. Switzerland has its fair share of glaciers, snow-capped mountains and lakes (more than 1,500 of them) within easy accessibility of major cities. The verdant Lake Lucerne is less than an hour south by Zurich Airport campervan hire while the capital, Berne, is halfway from Zurich to the vineyards of Lavaux which lies on the shores of Lake Geneva. The city of the same name (also the country’s second most populous city) and the French-speaking part of Switzerland lies three hours southwest. Near the border with Italy, the legendary Swiss Alps is an hour and a half to the south by RV rental at Zurich Airport. In between these major destinations nestle Baroque towns, ski fields and smaller castle-strewn cities. Drive your Zurich Airport campervan hire or motorhome rental farther south and you are likely to cross into the Italian-speaking Swiss town of Ticino three hours out of Zurich. Nearby is the region of Valais, an L-shaped valley cut by glaciers between two mountain ranges. This landscape-diverse region hosts the highest glaciers and mountains of the Alps, most notably the Matterhorn, and offers some of the best skiing experience in the world.